Benjamin E. Mays (born as Benjamin Elijah Mays in Ninety Six, South Carolina), he is also known as Dr. Mays, was a famous Educator from USA, who lived between August 1, 1894 and 1984. 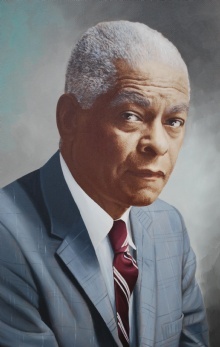 Benjamin Elijah Mays was an American minister, educator, scholar, social activist and the president of Morehouse College in Atlanta, Georgia from 1940 to 1967. Mays was also a significant mentor to civil rights leader Martin Luther King Jr. and was among the most articulate and outspoken critics of segregation before the rise of the modern civil rights movement in the United States. He is born under the zodiac leo, who is known for Ruling, Warmth, Generosity, Faithful, Initiative. Our collection contains 5 quotes who is written / told by Benjamin. "The tragedy of life doesn't lie in not reaching your goal. The tragedy lies in having no goal to reach"
"It isn't a disgrace not to reach the stars, but it is a disgrace to have no stars to reach for"
"Every man and woman is born into the world to do something unique and something distinctive and if he or she does not do it, it will never be done"
"Not failure, but low aim is sin"
"It must be borne in mind that the tragedy of life does not lie in not reaching your goal. The tragedy of life lies in having no goal to reach"